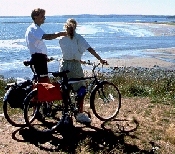 TRAVEL.org - Nova Scotia. Find travel agents, cheap hotels, flights, and tourist information for Halifax and all of Nova Scotia. Halifax Hotels - Find deals and cheap rates on 39 hotels in Halifax, Nova Scotia. Halifax Marriott Harbourfront Hotel - The Halifax Marriott Harbourfront Hotel offers unique restaurants, the exquisite full-service Interlude Spa and spectacular views of the Halifax Harbour. Halifax Hotels and Accommodations - Discounted rates on Hotel rooms, Car Rentals, Flights, Vacation Rentals. Discountedhotels.com, your complete travel resource.